Garcinia Cambogia: Is It Any Good for Women’s Weight Loss? 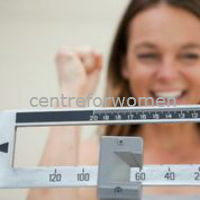 Is Garcinia Cambogia Good for Women Who Want to Lose Weight? Garcinia Cambogia is the extract from an Indonesian tropical fruit, known as Malabar tamarind, which has achieved considerable popularity as a natural weight loss supplement. Its influence was further magnified when this fruit made it to The Dr. Oz Show where Dr. Oz claimed this Indonesian fruit is the “Holy Grail of Weight Loss.” Similarly, Dr. Chen called the extract of this fruit a “Dual Action Fat Buster” because of its potential for suppressing hunger and deterring the fat building processes. Even health experts have stated the micronutrients and antioxidants in Garcinia Cambogia block your body’s capability to produce fat and make you feel satisfied without consuming much. Besides this, it offers some other health benefits, such as helping you maintain optimal blood glucose and cholesterol level. But is it really effective for everyone? Is it safe for women? These are all the questions that should be answered before you start consuming the extracts of this fruit. It is easily available in the market but before you pick it up, here’s a little more you should know. According to research at Purdue University, it’s an excellent source of iron, calcium, thiamin, phosphorus, niacin and riboflavin. All these are naturally occurring nutrients in the fruit that are quite essential for healthy weight loss. However, the extract sold in the market is not as pure as it is promoted and contains another compound named Hydroxycitric Acid (HCA). This chemical compound majorly enables the extract to work its weight loss magic. Now the tricky part is that none of these extract diet pills are harmful for women if taken in moderation but usually the amount in the pills is increased to fasten up the weight loss process. Garcinia Cambogia isn’t harmful per se but the different varieties of manufactured pills should be checked thoroughly before consumption. A research study was published in Food and Chemical Toxicology that identified high doses of Garcinia Cambogia can be detrimental for women’s health. This is why lactating and pregnant women should avoid it completely as you never know the composition of ingredients in the diet pills or the extract you are using so it is better to avoid taking a risk. Secondly, it can be toxic for the fetus as they are more sensitive. Furthermore, during pregnancy, women need fats as well as proper nutrition so depriving oneself from sufficient nutrition can severely affect the growth and development of the baby. So, despite Garcinia Cambogia being an effective weight loss supplement that can help women lose weight and achieve the body of their dreams, it can be harmful for pregnant and nursing women. Otherwise, it is considered safe, particularly if you consume the natural extract instead of a processed version.